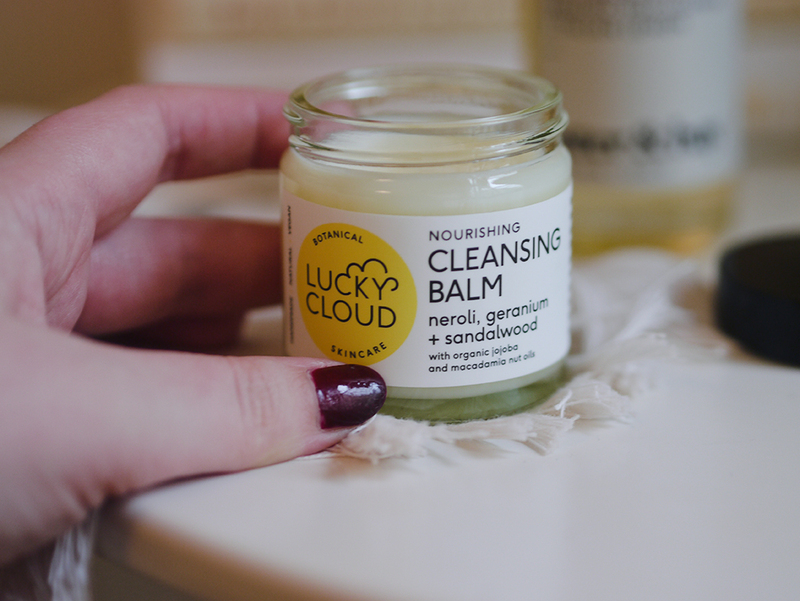 Another fantastic Edinburgh-based brand you need to know about is Lucky Cloud Skincare. Again, their focus is on natural, handmade, small-batch skincare which is great for your skin. Lucky Cloud’s products are 100% vegan too. On first glance, you might not think the Lucky Cloud Nourishing Cleansing Balm is an oil cleanser, but it is. The oils are in solid balm form, but once you warm a little bit of the balm between your fingers it turns into a wonderfully nourishing oil. It also has a beautiful neroli, geranium and sandalwood scent, with macadamia and jojoba to help nourish the skin. I use this in much the same way as the Aster & Bay Cleansing Oil. Suitable for use both morning and night, I’ll warm up a little balm between my fingers and massage it into my face to get rid of makeup and general grime. Removal is quick and easy with a hot flannel – I hold it over my face for a few seconds, then wipe a few times until all the oil is gone. Thank you so much Gillian!